Why do we want to listen to sad music when we are sad? In a recent poll about the personality of a musician, one of the questions I asked was whether you prefer to listen to happy music or sad music. By the way, if you want to take part in the poll you can do so HERE. It turns out that the majority of you, nearly 60%, said you prefer sad music. This would seem a little bit of a paradox. Surely no one would want to feel sad rather than happy. Or is there something in sad music which actually makes us feel better. I have read many theories on this topic recently, trying to find answers to this question. Some suggest that we feel better listening to sad music because it is not our own sadness and we actually feel better knowing that it is virtual and not real. I personally don't agree with this argument. Others argue that there is an emotional reward when we show empathy towards others and listening to sad music is like showing empathy for the music. Indeed musicians, it has been shown, tend to have more empathy. Others will state that sad music is simply aesthetically more beautiful. May I offer another explanation here. If you are very sad in your own real life do you feel better in yourself if you can express that emotion in some way, maybe have a good cry. 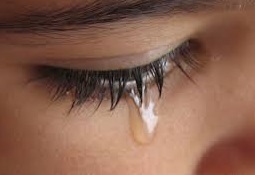 It is a scientific fact that crying releases endorphins, the body's own hormones that make us feel better. When we listen to sad music, we can express our emotions through the music and this in turn can release the same biochemical reaction that makes us feel better. Scientific studies have shown that at the peak emotional content of a particular song, your brain is likely to release dopamine - a neurotransmitter that helps control the brain’s reward and pleasure centres. Why do musicians linger just that fraction longer in a kind of rubato pause on a particularly poignant chord in an emotional piece. To enjoy the moment, even though that moment might be tragically sad? A paradox for sure. Interestingly, the same is true for watching sad films. Why do we watch them. To feel sad? Or to release some of our sadness through empathizing with what we are watching. Also bear in mind that much of the emotion we experience in films is induced through the music of a powerful film score. Now I said the beginning, that 60% of you preferred sad music, which means possibly, that 40% of you might totally disagree with me, feel free to leave a comment below on anything I have mentioned.